Pure Reform incorporates resistance-based strength and balance training designed to challenge and sculpt your body. 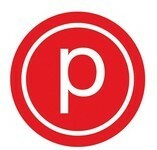 This new 50 minute class merges Pure Barre Classic positioning and movements with resistance bands, sliders, and the barre. IMPORTANT REMINDERS: - You must cancel 3 hours prior to class start time to avoid $15 late cancel fee (with unlimited packages) or loss of a class (with a class pack). - NO late arrivals are admitted to class. You must be in class when class starts. This is for your safety and the safety of others. - Plan to stay for the entire class. Leaving early is disruptive to other clients. - If you are NEW, arrive 15 mins early so we can get you checked in and safely set up for class. If we don't have enough time for you to meet your teacher, discuss injuries/modifications, get your waiver, etc. you may be asked to reschedule. - Wear socks that cover your feet (no wraps or toe cuts outs please). - Wear workout pants, leggings, or shorts to at least the knee. This not only keeps your legs warm, but is far more comfortable when using certain equipment like resistance tubes on the lower body. Trust us ;) If you have any other questions, feel free to call or text us at 312-877-5599 See you at the barre! Wear socks that cover your feet and toes (no toe cut outs please). Socks help to keep your body warm and keep their studio hygienic. They have grippy socks for purchase at the studio, but you are welcome to wear your own. Many find that the "grippy" or "sticky" socks help them hold positions better and keep from slipping. Wear pants/leggings to the knee or longer. Bring water so you can stay hydrated throughout class! There are two designated spots (marked with a Pure Barre sign) directly behind the The Madison, the residential building they're in. They are first come, first served. For 6 am classes, all classes after 5:30 pm, as well as Sunday 4 pm class, you can park in the lot directly across the street. You will need to come in and get a parking pass and sign a parking waiver (only the first time) in order to park there. You will be towed if you park there without a parking pass. This was my first time trying Pure Reform and the instructor Leana was great. She showed me all of the equipment and would correct my form as needed. She was also very motivating throughout the class. I would definitely go again!